No election will be required for the Local Councils Association top brass following a “backroom” deal between the two main political parties on a list of candidates, the Times of Malta has learnt. Sources close to the association told the Times of Malta the issue was raised at last Tuesday’s meeting between Prime Minister Joseph Muscat and new Nationalist Party leader Adrian Delia. According to a recent notice in The Malta Government Gazette, the election of the nine members of the association’s executive committee was scheduled for October 14. However, when the three-day nomination period ended yesterday at noon, it transpired there would be no need to vote, because the candidates were uncontested. So Labour retained its one-seat majority with five members. This was confirmed by association president Mario Fava, who said that one nomination had been submitted for the posts and the only contestants were the incumbent councillors. The executive committee is composed of a chairman, three members and five officials representing the south-east, south, centre, north and Gozo regions. “Over the past days, Labour and Nationalist party officials met to discuss the possibility of agreeing on a list of candidates, thus avoiding the need for an election,” the sources said. 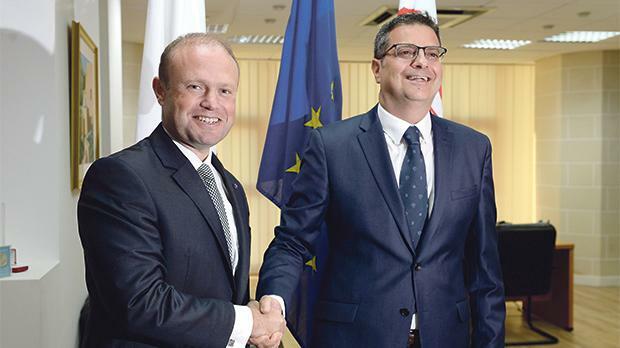 “The ‘agreement’ was also on the agenda of Tuesday’s meeting at the Labour headquarters in Ħamrun between Dr Delia and Dr Muscat,” they added. Local councillors who spoke to the Times of Malta on the condition of anonymity felt this was a “dangerous” precedent. The sentiment, they said, was especially palpable among councillors in both parties who were keen to contest the election but could not do so because of instructions coming from the higher echelons in view of the deal. PN sources said there was no mention at all of this arrangement when the first parliamentary group meeting chaired by Dr Delia was held on Wednesday. “It is quite ironic that, following the barrage of criticism levelled by the PN against the Labour government’s decision not to hold several local council elections a few years ago we have now consented to deny local councillors the right to choose their representatives on the association,” they added. While acknowledging that, in certain regions, the PN would have stood no realistic chance of winning, they argued that this was no excuse not to put up a fight and throw in the towel immediately. In 2005, the PN had controversially pulled out some of its candidates from the Żejtun and Marsa council elections at the very last minute to avoid holding an election. At the time Labour had accused the PN of denying residents the democratic right to vote.